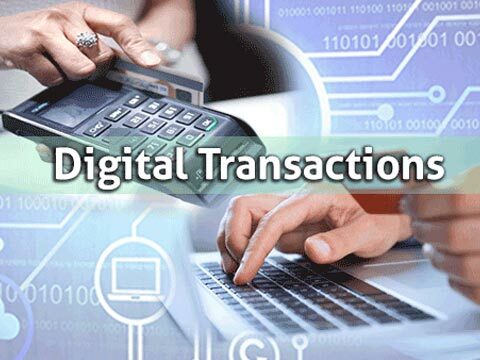 How Ease of Conducting Digital Transactions is Transforming the Retail Experience of Indian Consumers? With events such as demonetisation, growing digital maturity, and the heavy thrust on digital India, the focus on digital payments has increased in case of offline shopping. Technology and retail have had a slightly complicated relationship- while technology has been brimming with ideas to transform the retail segment, retail has been cautious about boarding the technology ship unless their customers are completely on-board. Because of this, tech trends in retail rapidly change over short bursts of time. But over time, we have witnessed this relationship change – as an increasing number of consumers become overly comfortable with technology owing to the power of the internet, smartphones, and constant connectivity, we see retail making a shift from the physical to the online world. Today e-stores have become the automatic extension of the traditional brick and mortar stores. Whether you talk about electronics, high fashion, or groceries, you will have an e-store for the same. The global retail e-commerce sales in 2017 amounted to $22.90 billion and are expected to cross $27.74 billion in 2018. In the Indian context, a report by Statista suggests that retail e-commerce sales in India are expected to cross $52.30 billion by 2022 making it one of the fastest growing e-commerce markets worldwide! Along with the rise of e-commerce, with the proliferation of social media users, we have witnessed the rise of Social Commerce that makes shopping a more social experience. Young shoppers are making purchases on Facebook, Twitter, Instagram and so on. Social commerce is simple and often mimics an in-store experience, one where it’s inherently easier to take opinions when making purchase decisions. Clearly, online shopping is evolving and is experiencing a love like never before. In India, one of the primary drivers of the eCommerce revolution was the option to pay cash on delivery. Since the Indian economy has been traditionally cash-driven, the fact that you could make an online purchase and pay for it using cash was a great opportunity. Almost 83% of the Indian consumers prefer to use the COD option as the mode of payment for online transactions. When consumers are not sure about the delivery of the product, the COD option gives them an opportunity to make the purchase without worrying about losing the money because of non-delivery of the item. Clearly, COD is a much-loved payment option, but it is also the least convenient one. Consumers hate the hassles of keeping cash at home at the time of delivery, merchants detest the delayed payments, and logistics companies do not want to increase the burden cash transactions and reconciliations. The in-store shopping experience has also witnessed a sea of change - especially post demonetisation. While the larger retail stores have been accepting digital payments for a considerable period of time, it is the smaller retail merchants, your friendly neighborhood kirana store, the medical store, etc., where the retail experience has changed. Traditionally, these stores were primarily cash-driven – because, not all the small merchants could afford the costly POS equipment, high MDR, and equipment costs and rentals. However, now these stores have been able to make a plethora of digital payment options available to their customers by leveraging UPI, BHIM, BharatQR and Mobile Wallets, etc. The recent government directive of waiving MDR on all debit cards, UPI, BHIM transactions of up to Rs. 2000 provided a further boost to digital transactions. What do consumers really care about? The primary aim of retailers is to provide a frictionless and enriching experience to the consumers. When consumers want the assurance of COD and convenience of online payments, retailers need to expand their payment options to provide precisely that. In case of online shopping, merchants also want to leverage digital payments to do away with the logistical nightmare that comes along with COD. Events like demonetisation, growing digital maturity, and the heavy thrust on digital India, has increased the focus on digital payments in case of offline shopping. These factors have contributed to the growing demand for technology-enabled solutions taking away the pain points that come with cash and at the same time provide a secure, frictionless, and convenient option for the consumer to make a digital payment. Digital wallets, mobile payments etc. have been aiding the cashless revolution for some time now. However, payment technologies have to become more seamless and flexible. The consumer should be able to pay digitally using whichever payment option she wants – whether it is using a debit/credit card, UPI, Bharat QR, Aadhaar, or Net banking. Given India’s diverse population, the comfort level with digital payments options may differ. A metro resident may be used to paying by credit or debit card while for the rural consumer, making digital payments using Aadhaar might be most comfortable. The idea is to provide the consumer with all the benefits of cash without having to keep cash at home and at the same time, enjoy all the loyalty benefits awarded by their bank or credit card companies, or cash back from wallet companies or UPI-enabled app providers. Cashless payments are now extending beyond wallets and cards and extending to anyone who has a bank account. Today, you can just walk into a store and make a payment using your phone by quickly scanning a QR code – no cash or card needed! And those who are not comfortable with mobile payments can always use Aadhaar and complete a transaction. The payment industry has been proactive in addressing some of the major concerns that plagued digital adoption. As the future of payments becomes ‘now’, retailers, banks and merchants alike are getting more proactively focused on adapting to the changing payments landscape. How value retail is emerging as high profit business?